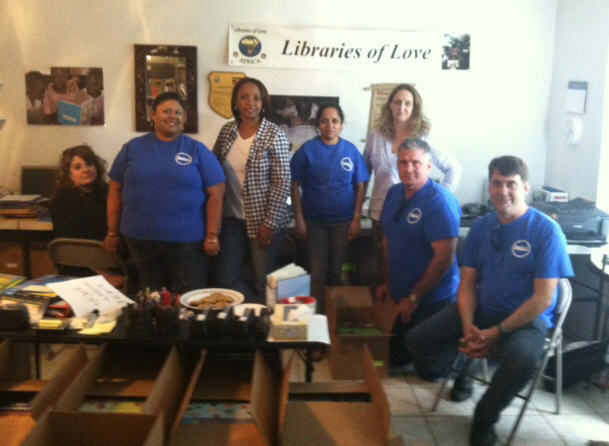 Thanks to the Dell group from the Enterprise SRS Team who volunteered on December 5. 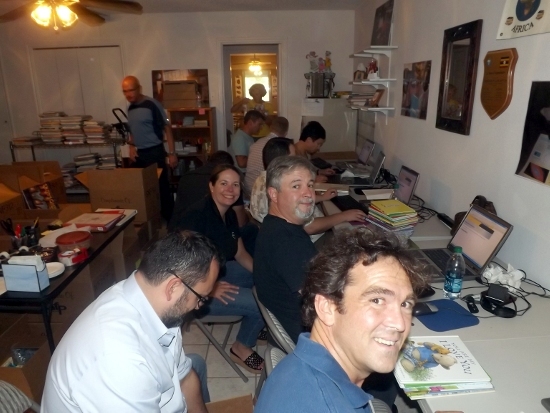 Pictured above are Greg Swinney, Joe Roth, Ana Terra, Adriana Hunt, Amanda Mills, and Theo Ulmer. 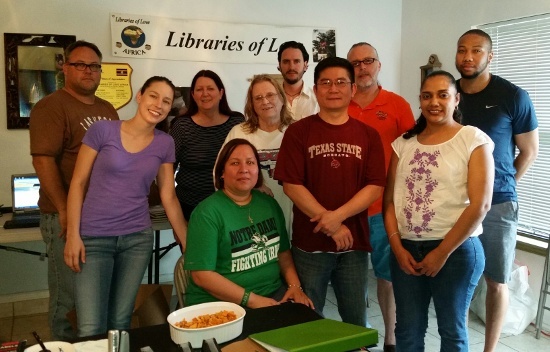 Not pictured is volunteer Margarita Martinez. At left is Angeles Garza working at her station. 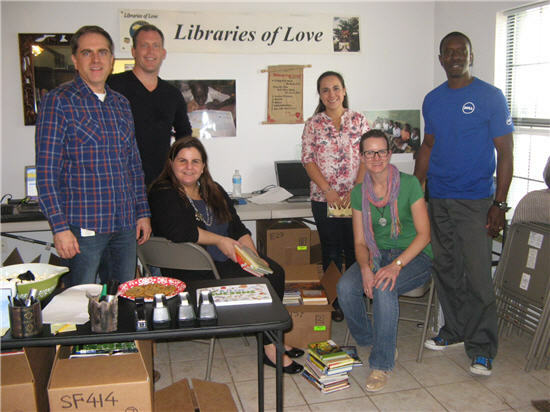 Thanks to the volunteers from Dell Financial who came on November 21 to prepare books. Many thanks to our latest Dell group. 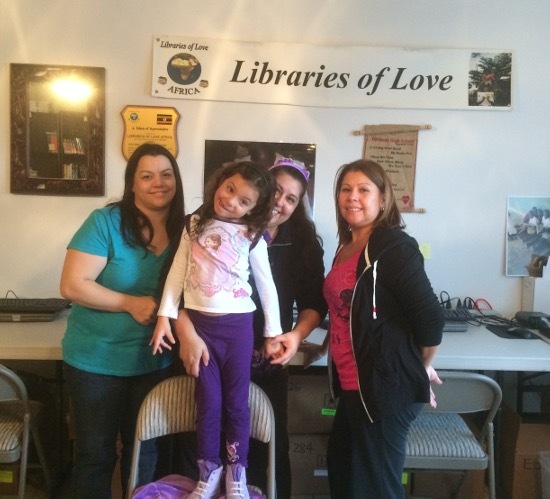 Thanks to Lindsey (on the left) for arranging the volunteer time with Libraries of Love. 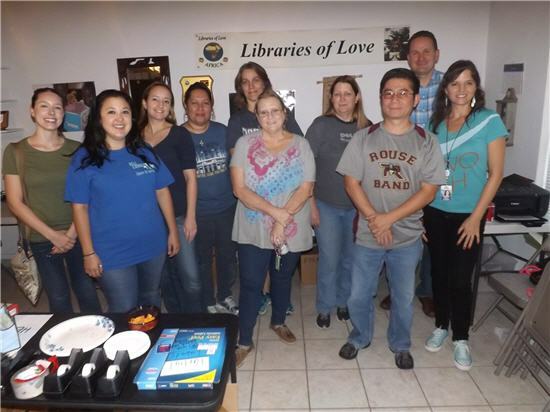 The Dell Regional Ops group volunteered October 24 and kept us laughing all afternoon as entering data and typing labels for pockets and cards turned into a competition. A wonderful funny group. 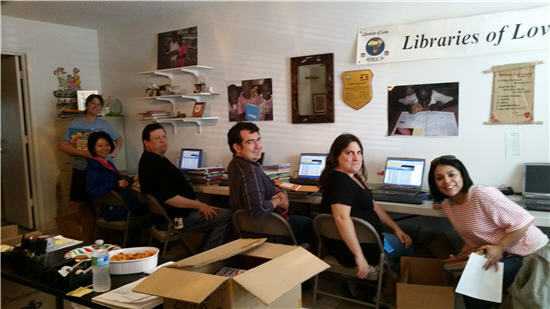 They managed to finish 19 boxes of books – now ready for shipping. Thanks for your hard work and good humor. 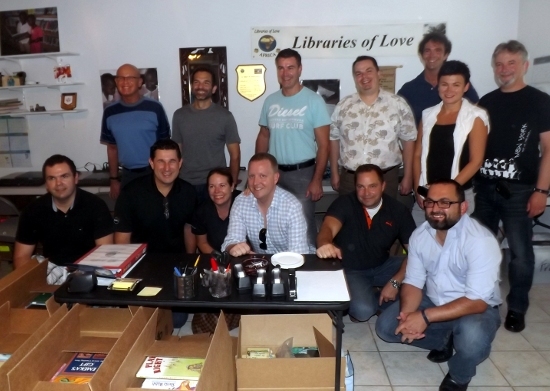 Thanks to the group from the Dell IT Business Operations Office that volunteered to prepare books on Oct. 10, 2014. Pictured are Jeni, Aileen, Tania, Jennifer, and Chris. 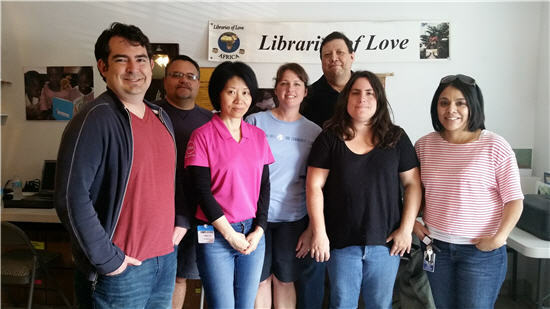 Thanks to the Dell Group of 13 who volunteered on Oct. 6, 2014. Headed by Veronique Phelan, team members were from various parts of the world, including Russia, Ireland, France, German, Slovakia, and America – of course! 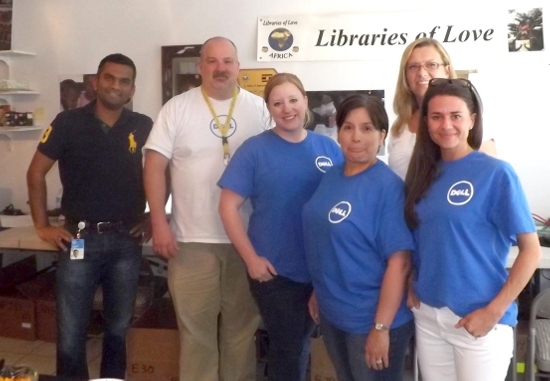 Hats off to the Dell Services Programs + Operations Team. Many thanks! Special thanks to the incredible Jim and Ellen Matthews, our volunteer coordinators, who work with our groups and keep things running smoothly. They are amazing. 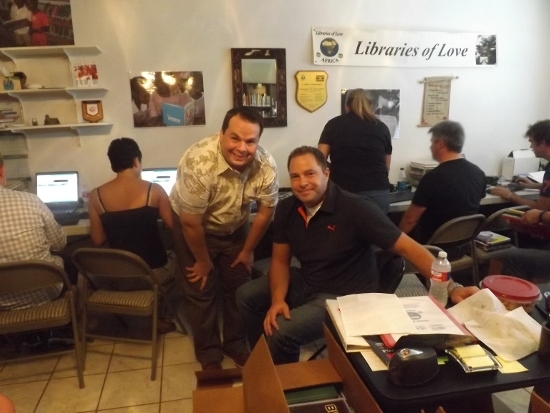 Thanks to the Dell volunteers who prepared books on Oct. 3, 2014. 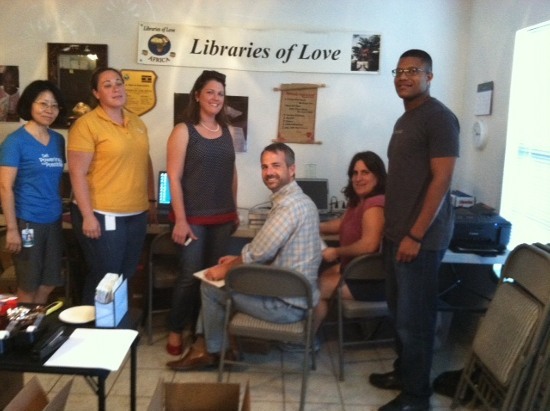 Pictured are Linda, Kris, Bridget, Erik, Stacey, and team leader Randy Jacobs. 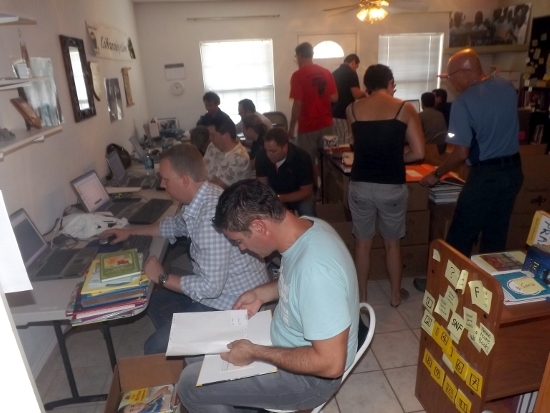 Thanks to the volunteers from Dell IT Business Operations who came to prepare books on Sept. 19, 2014. Pictured are Barb, Priyanka, Kimily, Seetha, Niki, Tim, and Bill. 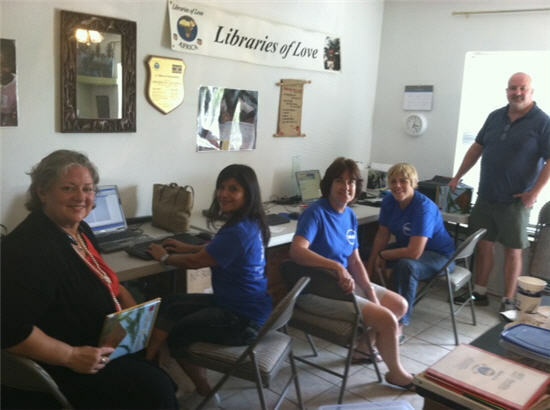 Thanks to Dell volunteers who came to prepare books on Sept. 9, 2014. Pictured are Aravind Mohan, Christopher Dykes, Elisa Guidroz, Marie Alvarez, Kristin Clayton, and Hilari Westfahl.